Vision Statement: To allow a beauty, mystery and magic that inspires a deeper connection of humanity and nature – leading to a restoration of the earth. Mission Statement: To assist women into their power and beauty of their Goddess emerging; in order to magnify the faith, trust and compassion for creating a new earth. Aim: to create original garment pattern designs, drape of fabric, hand-printing and finishing techniques through; pants, skirts, dresses, tops in stretch knit fabrics. Hi I am Diane, creative visionary artist seeking to bring through “The Goddess Emerging” in my clothing designs. 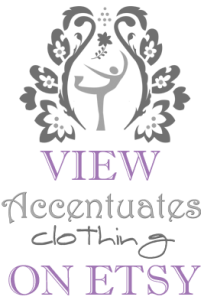 I make a range of women’s clothing; pants, skirts, tops, dresses and some custom performance wear. 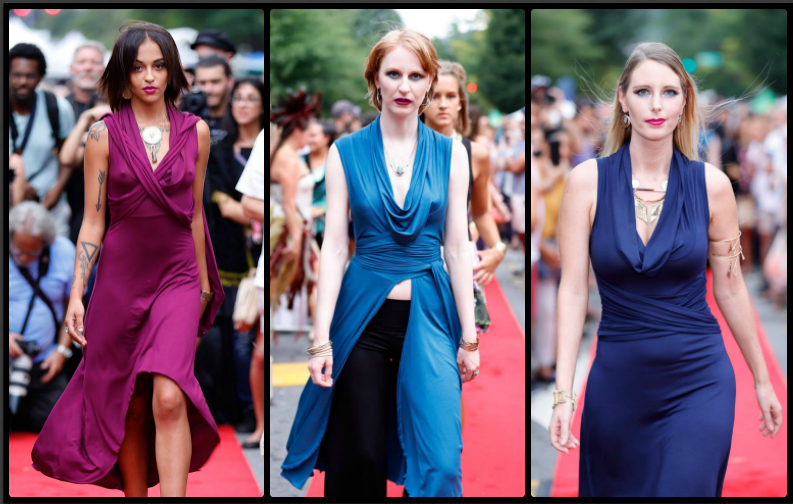 I utilize stretch knit fabrics; modal, cotton lycra, bamboo, hemp, lace, velvet and wool mix knits. Many garments have a unique elegant shaping and style lines. I strive to choose fabrics with good drape and part of my signature look is topstitched seamlines. 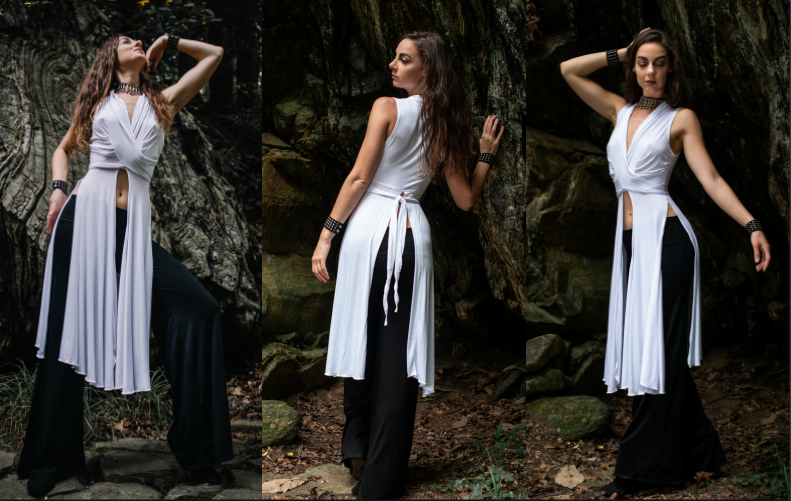 I appreciate good quality in a garment; they are all cut, sewn, trimmed, handprinted and handmade by me and my assistant Whitney in the beauty of the Appalachian mountains in North Carolina USA! 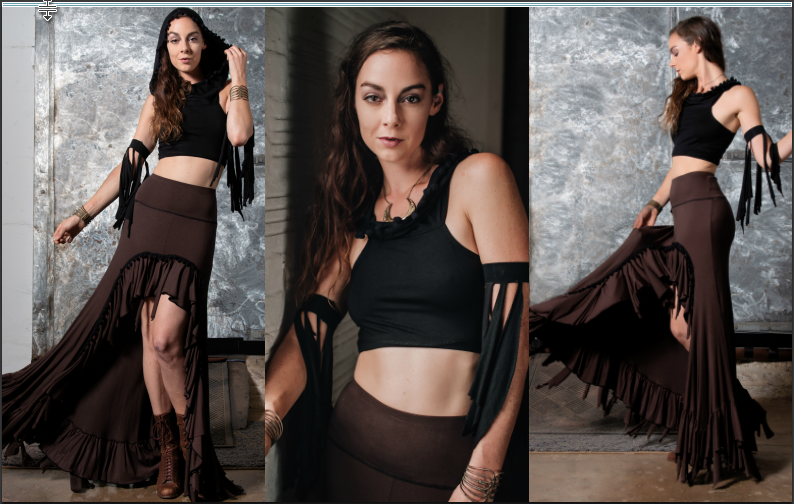 Available at Va Va Vooom lingerie and vintage clothing shop and Avedian Coast – both in downtown Asheville NC, USA. On line sales at my Etsy shop. 🌟🌟🌟🌟🌟 I absolutely LOVE these... I ordered the white and when it arrived I tried them on and was so pleased I ran to my computer to get the green. The fabric and fit are divine! 🌟🌟🌟🌟🌟 It's like it was custom made for me. Oh wait, it was!! 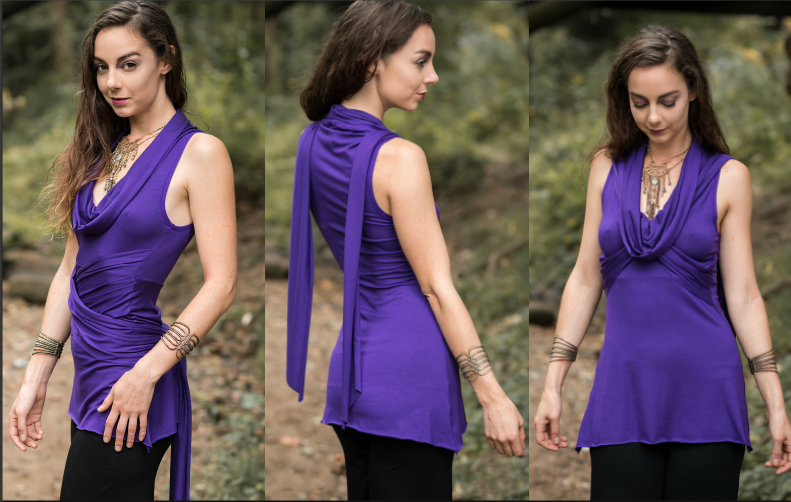 :o) This is an instant favorite bellydance top and I will be ordering several more!! Beautifully made! 🌟🌟🌟🌟🌟 Amazing service! Less than 7 days from time of pay to front door delivery! Great custom tops! The Ella crop top is my favorite crop top for all day comfortable wear. I have 4 of them. Age 66. 🌟🌟🌟🌟🌟 Love the overskirt! I get compliments every time,to wear it. It is well made, and delivered quickly!